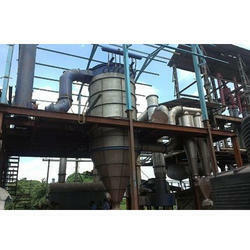 We stand as one of the leading manufacturers of Flash Dryer for fines. Best available raw materials are used in making these machines. Our state of the art production unit along with highly qualified technicians ensures perfect and quality performance of these machines. Our dryers are known for low fuel and power consumption and low maintenance. The capacity range of these dryers is up to 25mtph. Flash drying is defined as the drying of particles that are suspended and conveyed in a hot air stream. Typical products that are suited for flash drying are powders, polymers, It is designed for the flash drying of wet particles with "surface water" from centrifuges or filters where the product can be dispersed by the high air velocity prevailing in the flash dryer. The product is dried to a free-flowing powder in a very short time. The short product retention time, especially when cyclones are used for product collection from the exhaust drying air, provides the possibility for faster grade charges. Bag filters can be added as a "police" filter or even by replacing the cyclone if the authorities require lower emission to the atmosphere. The turbulent dispersion and mixing of the wet particles in the air allows high temperatures of the inlet drying air due to the cooling effect provided by the fast evaporation of the moisture from the particle surfaces. Powders with a mean particles size (d50) from 50 micron to 500-800 micron are suitable when not being sticky at temperatures 50-100 °C. Drying economy depends very much upon source of energy and maximum allowable inlet temperatures (often 150 to 225 °C depending on the heat sensitivity of the product). Capacity 100 kg/hr - 5 mt/hr. 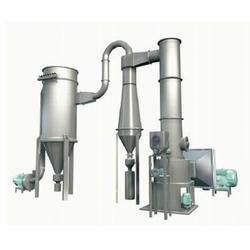 We manufacture and supply some of the best quality Flash Dryer – Direct / Indirect Fired. These highly acknowledged machines are fabricated using supreme quality raw materials. Our dedicated and highly skilled technicians make these machines under stringent quality parameters of international quality standard. 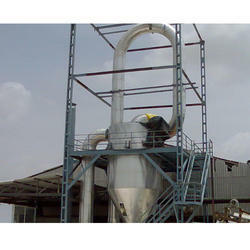 These dryers are used for drying of Chemical, Mineral and Food Powders. Looking for Flash Dryer ?